for children: Dish consisting of hamburger, fries and chicken shashlik Andalusian style. Drinks included a buffet (white and red wine, soft drinks, beer, sangria and mineral water) type table until the beginning of the show. 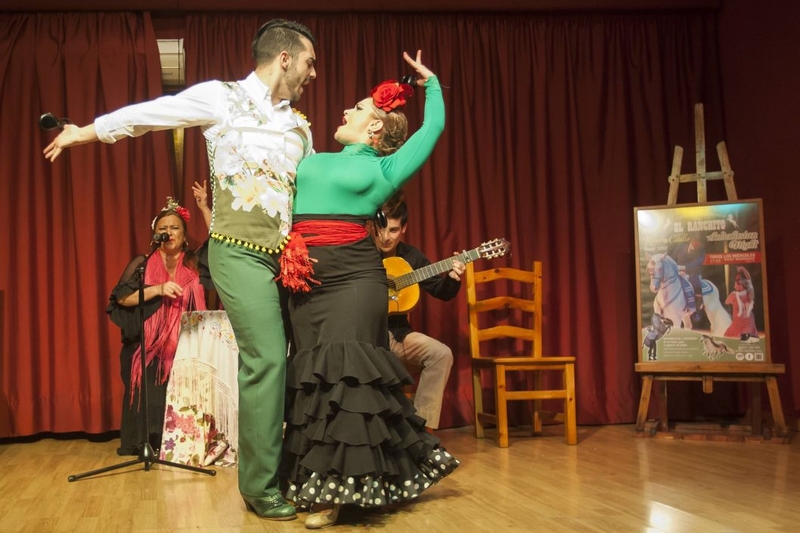 The live flamenco show will consist of a flamenco, all talented and local reputation, which will vibrate and enjoy the guests and live flamenco in Andalusia. The duration of flamenco show is about 1:30h and there will be a workshop to all attendees. We invite our participants to come dressed accordingly for the event. 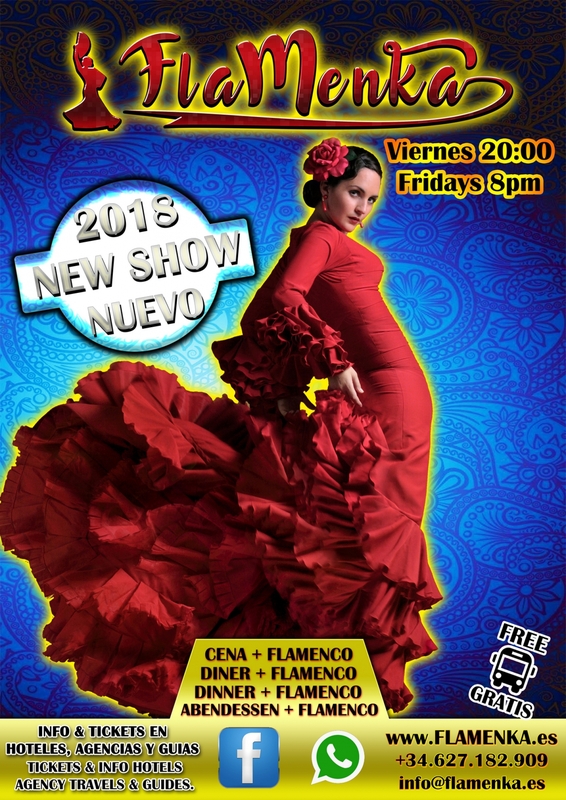 FLAMENKA is passion, art and debauchery scene, do not miss it! Buy your tickets here .